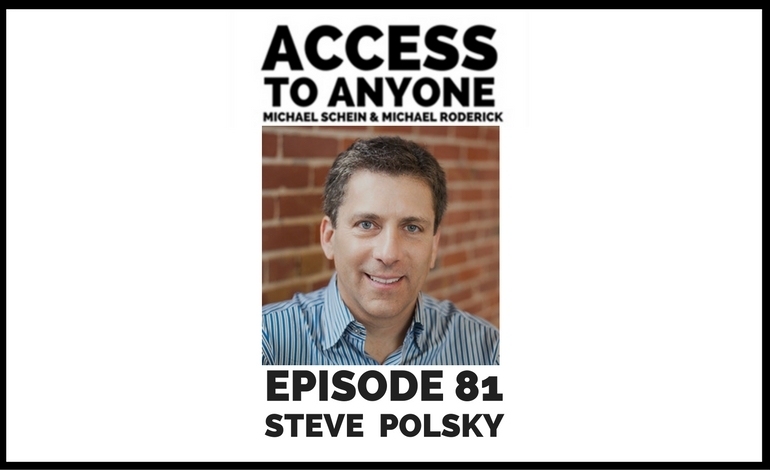 Steve Polsky is the founder and CEO of Juvo – a socially driven tech company that helps people across the globe gain unprecedented access to financial services. He is single-handedly bringing meaningful and longstanding relationships back into the financial industry. Today he shows us how he does it. We also talk about what it really means to change lives, how he’s able to foster connections on a global scale, and the two-fold way to build deeper relationships. Steve Polsky founded Juvo Mobile with the goal of providing basic financial services to people worldwide through the ubiquity of mobile service around the world. Steve’s career has centered on founding, launching, and managing early stage technology ventures, including Flixster/Rotten Tomatoes, Amber Networks, VoicePlex Corporation and Edusoft. Steve is a lecturer for the Wharton School of the University of Pennsylvania’s undergraduate course in Entrepreneurship, and he holds five patents in telecommunications network architecture. Steve is a graduate of the University of Pennsylvania’s Management and Technology Program with degrees in Computer Science from the Moore School of Engineering and Finance from the Wharton School. Meet Jackie from Juvo Mobile on Vimeo.